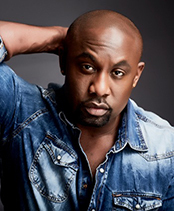 Dondraico Johnson has been attributed with creating for, inspiring, and working with many of the entertainment industry’s influential performing artists. After establishing himself as one of LA’s premier dancers, Dondraico turned his sights to choreography. His expertise has afforded him the opportunity to help create movement for such artists as Madonna, Miley Cyrus, Britney Spears, Ricky Martin, Jennifer Lopez, Laura Marano, Poppy and even the legend himself, Michael Jackson. Feature film credits include GHOSTBUSTERS, FOOTLOOSE, STEP UP 3D, STEP UP 4: REVOLUTION, Michael Jackson’s THIS IS IT, JACK AND JILL, STEP UP 5: ALL IN, and in television the FX series AMERICAN CRIME STORY: THE PEOPLE VS. OJ SIMPSON, AMERICAN CRIME STORY: VERSACE, Germany’s Top Model, and UNDERGROUND have all sought after Dondraico to help conceptualize and choreograph memorable dance scenes. He has worked on every major awards show on television and is proud to say that he helped create movement for clients ranging from Heidi Klum to Nickelodeon and Disney to the Super Bowl, Grammy Awards, and Academy Awards. American Crime Story: Versace - "Whip It"